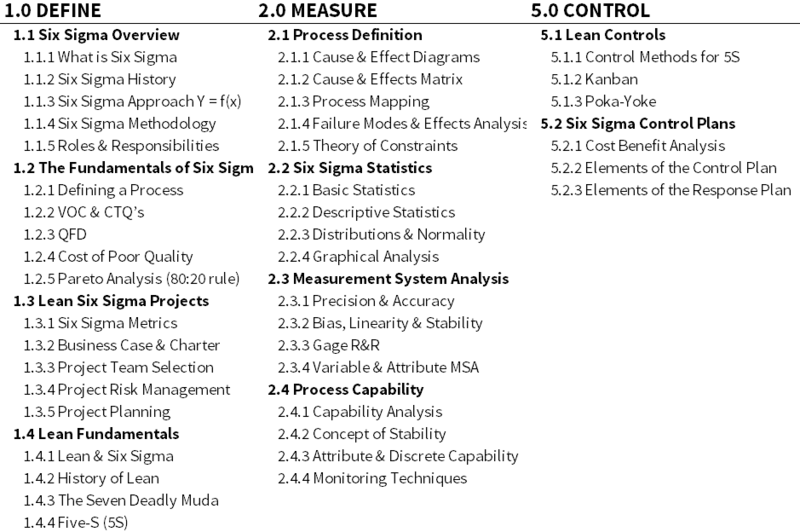 Lean Sigma Corporation is a leader in online Six Sigma training, providing our students with the best Six Sigma curriculum available. Our training materials are accredited by the Council for Six Sigma Certification as a Lean Six Sigma training program. Below is an outline of our Black Belt, Green Belt, and Yellow Belt curriculum.